As much as I have been resisting shopping these days due to Kpo Kia Papa’s nagging that the house is running out of space, I believe no one can avoid shopping during year end. Thanks to the festive seasons, almost everyone is buy shopping for Christmas presents and New Year clothings. And it also reminded me of the scary jam along Orchard Road – and my horrible memories of being stuck in a jam for 1.5hrs for a 45-mins journey on my way home after work. No wonder I have since fell in love with shopping online! Online shopping is evil, but addictive, haha! Have just placed a order of S$340 items for my online shopping order over the Black Friday Sales and I have already added items into my shopping cart in prepare for the Cyber Monday Sales. You don’t need to be a genius to guess if I still have more wish list item for the coming 12.12 Sale. For me, 12.12 Sale is the last chance for me to get any items I missed out for my Christmas gathering. Stumble across this article “Tricks to save big on Black Friday and Cyber Monday” and find some of the tips pretty useful. 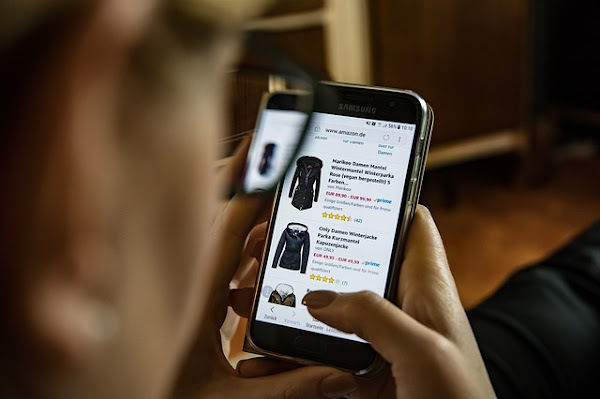 One of them is to track price histories of the items you are interested in via websites; the other is to use app to track the best deals for the different shopping events. Some of the shopping site from overseas store have been friendly to their shoppers, they allow shoppers to toggle to their local currency price. Unfortunately, this is not the cases for some of the online stores which I frequently shop. I will then have to calculate the items price based on the highest possible exchange rate with shipping fee into consideration before my purchase. In the past, I was an impulsive shopper who don’t bother to think much. Had then made quite a lot of purchases with shipping fee that is higher than the original item prices, and the total amount can easily be much higher than getting the items from local stores. Now with a family, I need to be smarter in controlling my own expenses. Before I proceed to check out the items in my shopping cart, I will do a final search online (on website like shopback, coupon sites, credit cards rewards websites, or even facebook) to check for any possible discount code, rebates, or better deals. I will also read through the Terms and conditions on the online store shipping terms. I personally prefer online stores which allow me to have free return/fuss-free return for defective or damage products – especially if I am getting electronic products. Also do be reminded that for goods imported by post or air to Singapore, you will need to pay GST for amounts more than S$400 per shipment.